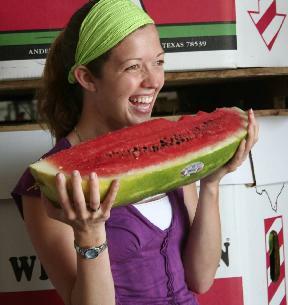 When people think of sweet, red, juicy, watermelon, they think of Texas; and WHAT-A-MELON is Texas’ Premier Brand of watermelon. Summer is here, and that can mean only one thing: watermelons are finally in season. Our farms are bursting with acre after acre, row after row, of the tastiest watermelon you’ll likely ever try. If you like watermelon, you will love WHAT-A-MELON. Contact us to find out why WHAT-A-MELON is one of the premier watermelon suppliers in the state of Texas. Your diet and taste buds will be thanking you.